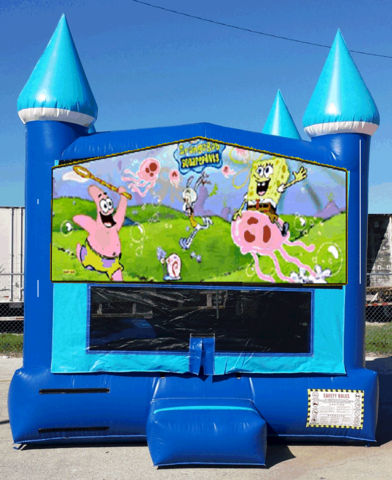 Our Spongebob bouncer is a best seller for the themed birthday parties or events. 13x13 bounce house with large windows and a front step for safety. All of our art panels are licensed Disney products, not illegal reproductions. We have been servicing Polk County Florida since 2002 and have never cancelled an event and are never late to deliver our always clean and sanitized inflatables. We service Lakeland, Winter Haven, Auburndale, Bartow and all other areas of Polk County.